Have questions or need assistance? We would love to help! 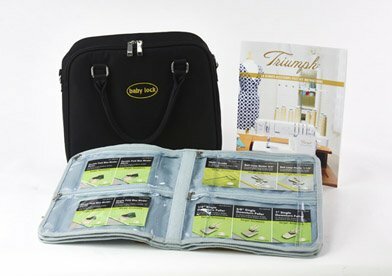 This kit for your Baby Lock Triumph includes additional feet & attachments to help you expand your creative options. These 29 feet come in a convenient carrying case.